The revolutionary REVIT See Soft CE-Level 1 divided chest protector is designed to absorb multiple impacts without compromising on comfort, ventilation or freedom of movement. The highly impact-resistant blend of Nitrille and Polynorbornene rubber results in a memory foam that is multi-impact rated and CE Certified. In the case of severe angular impact, the individual Memory Foam layers will shift relative to one another, resulting in impact dispersion over a larger effective surface area and therefore minimizing the energy that is transmitted to the rider. You would think these would be pliable, considering their multi-level foam construction. But, they are not. 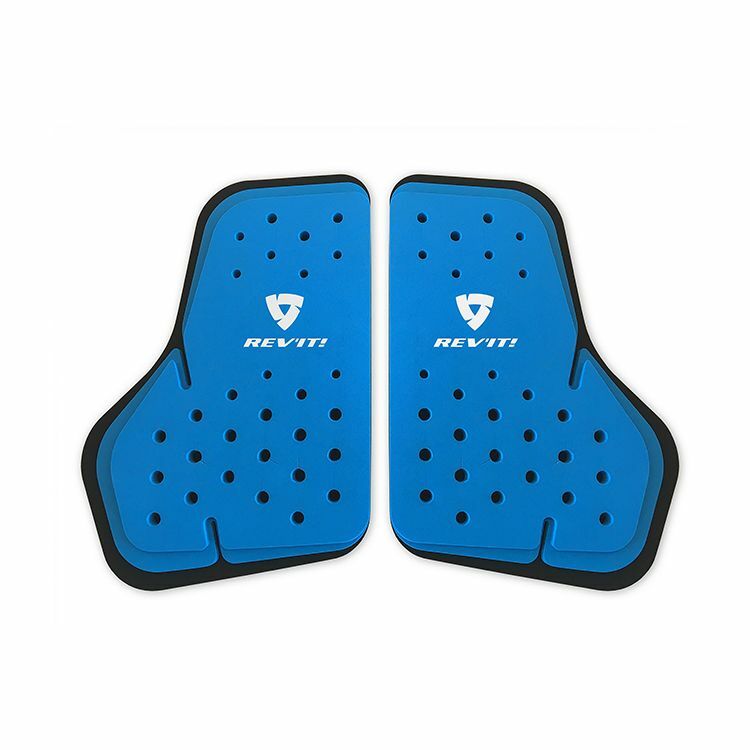 In fact, compared to the Dainese composite variety of chest protector (with hard plastic outer) and A* nucleon (think D3O but firmer), these are the stiffest and least comfortable.They resist bending and thus retain their flat shape in your jacket. Would they soften up and bend more over time? I would expect so, but can't say for sure. What I can say is they would have to soften so much to be comfortable that I don't see it in the cards, and returned them immediately. What jacket will this go with?